The chef, Oi is one of the stars of the Three Tuns. 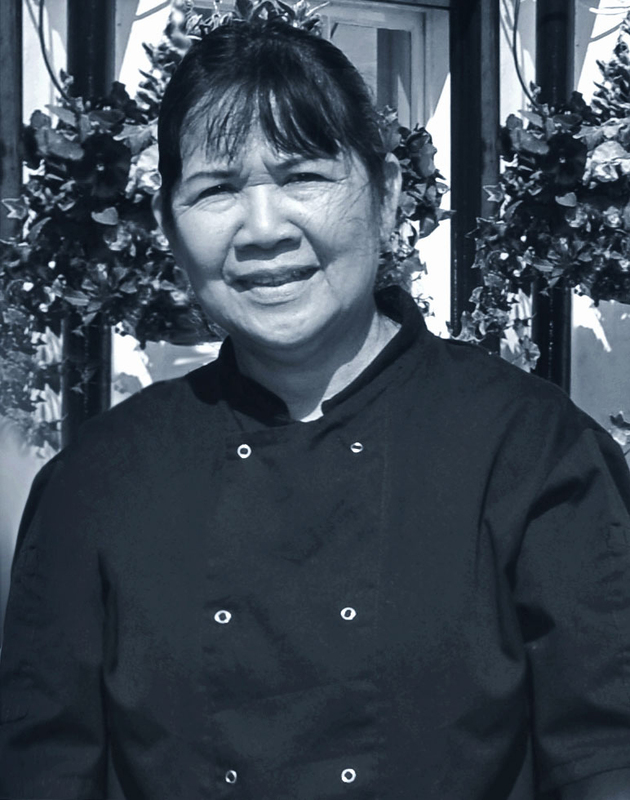 She has prepared and cooked fantastic authentic Thai food for our customers for many years now and the number of people that keep coming back because of the food is fantastic is no surprise to us. Using freshly prepared ingredients and cooking every dish from scratch really makes a difference to the flavour and this is appreciated throughout the surrounding area. With a small team in the kitchen it is amazing to see what can be produced on a busy evening without any of our standards dropping. Many of our tables can be turned round two or even three times on a busy night. Whilst ensuring that our restaurant food is presented to the highest standard a full take away service is also on offer to our local clientele. The food is all packed carefully and can be collected from the bar where many customers enjoy a quick drink while they wait. Special menus can be created for specific events or celebrations and an outside catering service is also on offer. If you wish to find out more about this please do not hesitate to discuss with Chris, Karen or one of the team.